Trafford Walkers are based in Manchester. 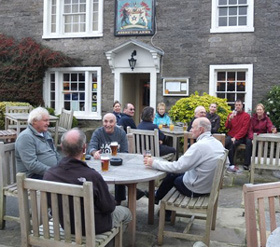 We are a small and friendly walking club, established for over 25 years, whose members are mainly from the local area. 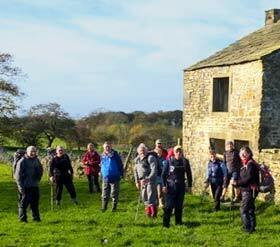 Some of the most varied and beautiful countryside in the whole of the UK is on our doorstep, and the Club exists to give people of mixed abilities the chance to enjoy it whilst walking in good company. we feel we have something to offer all of you. If you are interested in joining, please go to the Joining Us page; if you want to discuss it with someone first, go to the Contacts page and e-mail one of the people listed there. Leave a phone number if you want to speak to someone direct. 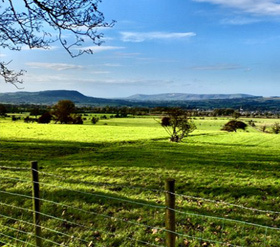 Walk venues are normally within a radius of 40 miles from Manchester, but from time to time we venture further afield to areas such as the Trough of Bowland, North Lancashire, the Yorkshire Dales, Wales and the Lake District. Normally, the Programme of Walks alternates each week, with the walk on Saturday one week and on Sunday the following week. Wherever possible, two walks are offered each weekend throughout the year, listed as (a) and (b) on the Walks Programme. Total weekly attendance for both walks together is around 20-30 members and guests. 'A' walks are aimed at more energetic and experienced walkers, and are normally between 8 and 12 miles in length; they can include some climbing to reach ridges, fells and higher moorland, and are taken at a brisk pace. 'C' Walks are normally between 4 and 6 miles in length, and include only a small amount of climbing; these walks usually run only in reasonable weather, take place generally on Sundays, with the details being circulated on the previous Friday by email. Any member is free to join any walk offered, provided that they meet the requirements of the Walkers' section of the Club's Safe Walking Policy. We are a friendly group who organise regular curry nights etc. During the summer months a number of coach trips and walking based holidays are arranged. 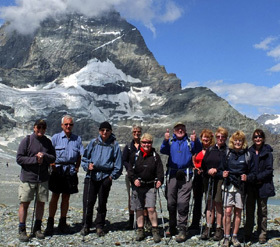 Further, over the last five years groups of Members have enjoyed walking holidays abroad in Malta, Austria, Switzerland, Majorca and Bulgaria.